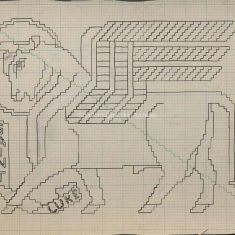 3 patterns for the Saint Luke Kneeler, one paper, one tracing paper and one card. 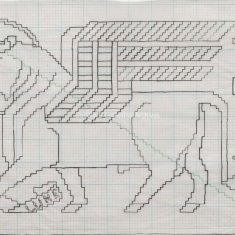 a) shows a full colour watercolour painted onto a copy outline on plain paper, b) is a black ink outline drawing on tracing paper, c) is a copy outline drawing on squared paper backed to card. 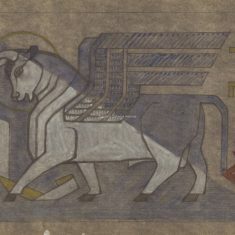 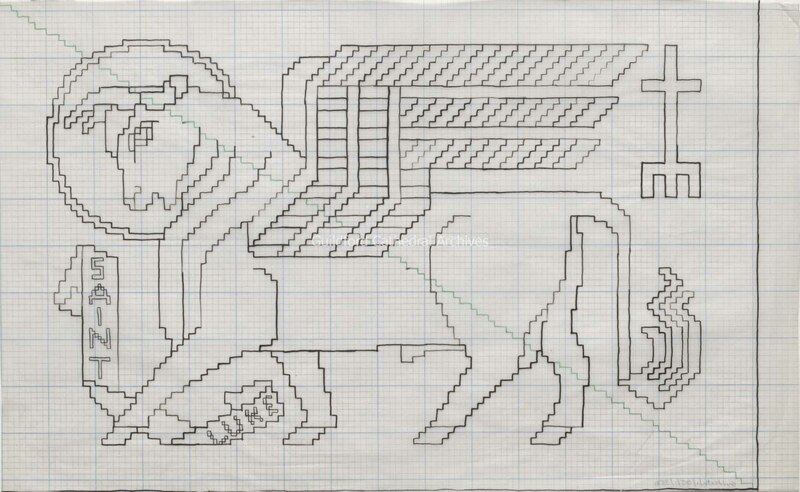 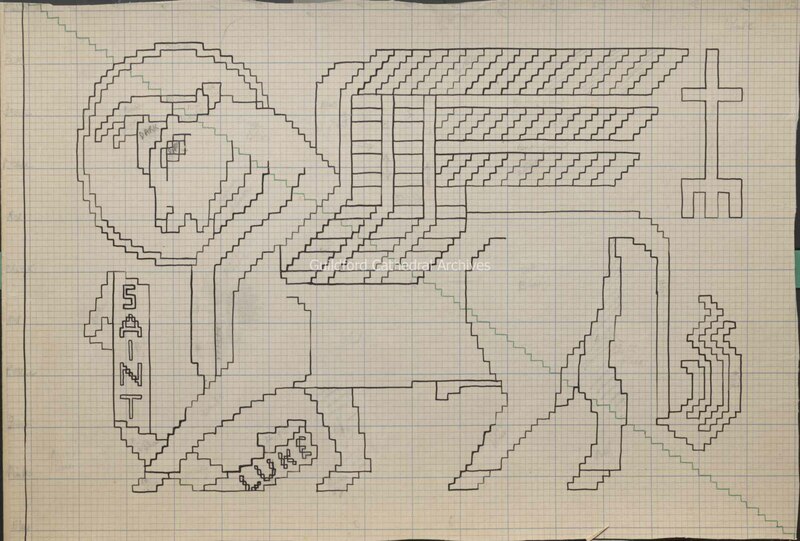 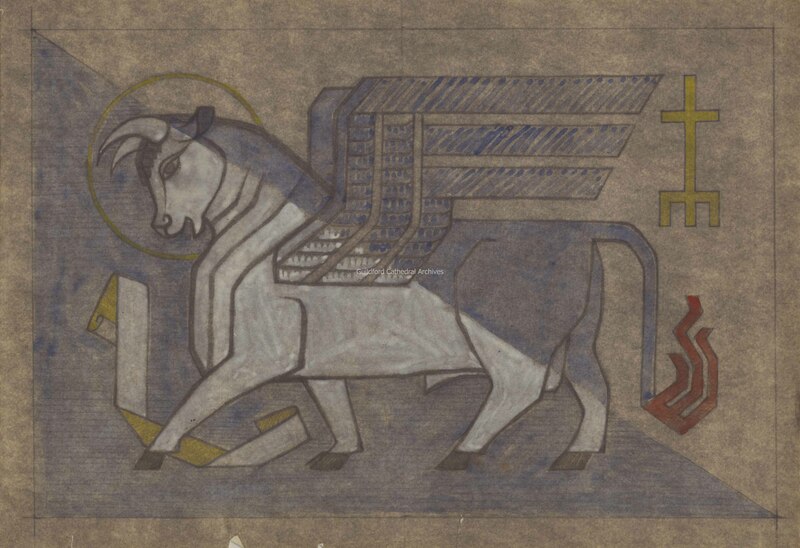 The design shows a winged bull with halo and a cross, and a scroll with “Saint Luke” is at the lower left.